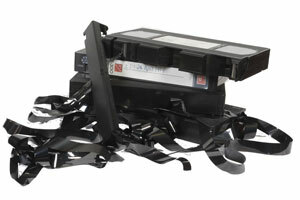 The cost of transferring miniDV tapes to DVD starts at just £10 inc VAT. We give discounts for five or more mini DV tapes. For those of you with miniDV camcorder tapes who cannot make it into the shop we have an excellent MiniDV online/mail order service. This mini-DV transfer service is exclusive to our Kodak Express store in Camden London were all work is done ONSITE by trained staff - ensuring a quality result. We can transfer your miniDV tape to a data DVD as editable files for editing on your own computers. We give you uncompressed AVI files suitable for editing on MACs and PCs. Alternatively give the MiniDV tape to us and we can edit it for you. Editable file sizes can be very large so you may need to supply an external hard drive or large capacity USB stick. By asking us to transfer your video tapes you are giving us an assurance that you are the copyright owner or that you have permission from the copyright owner to duplicate the work. We only accept Video to DVD transfer work on this basis. So if your tape was originally filmed in any of these countries it will need to be converted to PAL format to play on UK TV systems. The cost of NTSC transfer to PAL and encoded to DVD is £40 per MiniDV video tape. 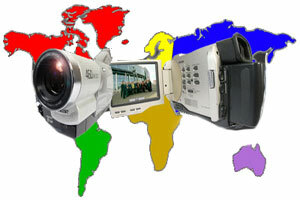 We cannot generally fix problems associated with bad recordings, camera equipment malfunctions and sound problems.